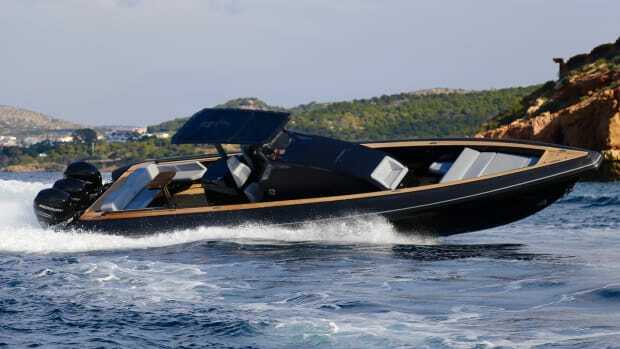 Diesel outboards made a big splash. But do they have staying power? 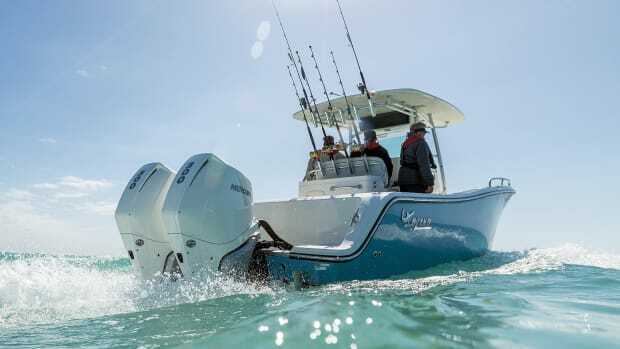 A few companies from across the pond are betting big on the latest generation of diesel outboard motors. 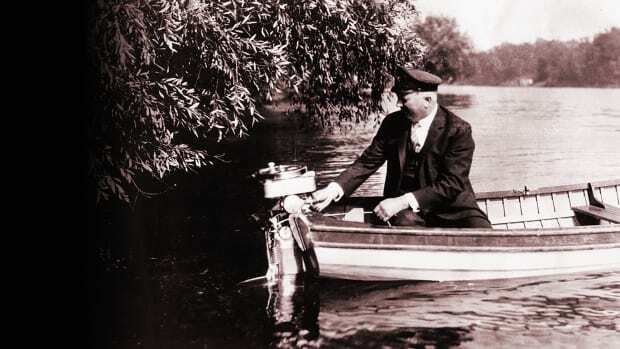 Demand for high-horsepower outboards has never been greater. And the latest-gen motors have answered the bell: They’re more powerful, reliable, environmentally friendly and won’t work as hard to keep a faster cruise speed. They’ll get you there quicker, but that increase in horsepower means you’ll burn more fuel. Could a diesel outboard be an -efficient power option? A few companies from across the pond are betting on it. 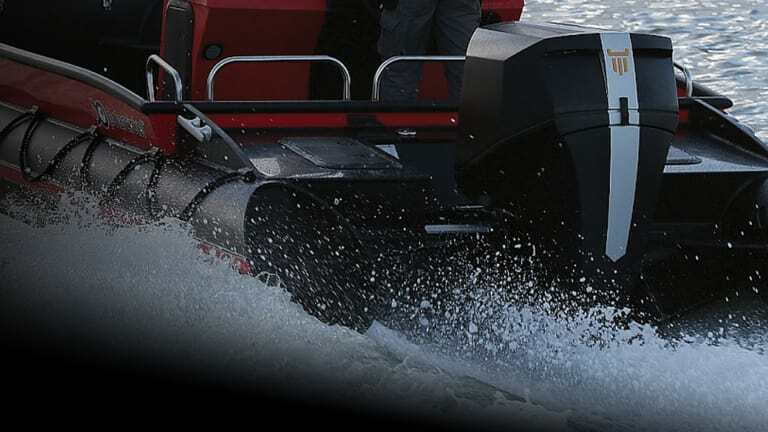 Both the OXE (above) and Cox diesel outboards can be matched to single-lever and joystick control. Recently, I got on board a 21-foot Highfield 660 RIB with a 150-hp OXE diesel outboard on its transom, the first oil-burning outboard to meet EPA Tier 3 emissions standards in the U.S. OXE’s parent company, the Sweden-based Cimco Marine claims it’s 55 percent more fuel efficient than a 150-hp gas outboard—an eye-opening statement. The first thing I noticed was the size. 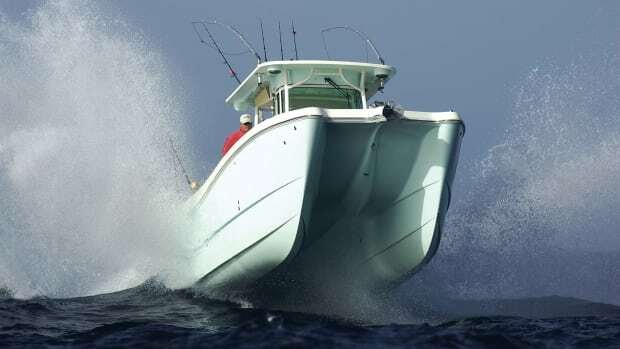 The cowling is wider than a comparably powered outboard because the diesel is mounted horizontally, not vertically. 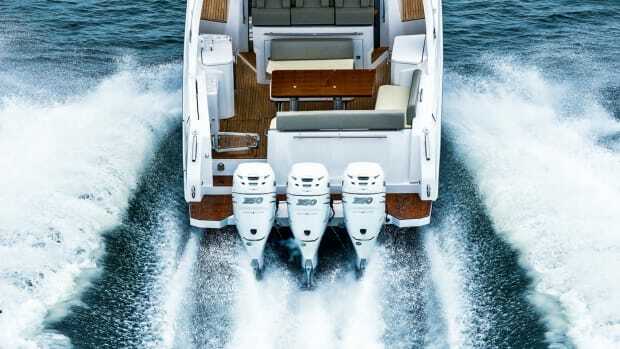 Also unlike gas outboards, it utilizes a belt-drive system reportedly more durable than bevel gears and allows for the diesel’s increased torque to be transferred more efficiently to the prop. I ran some numbers and came away impressed. The 2.0L turbo is definitely torquey. I had Chris Ponnwitz, marketing specialist for OXE distributor Mack Boring firewall the throttles and the RIB was on plane in less than five seconds on its way to 32 knots in 15. 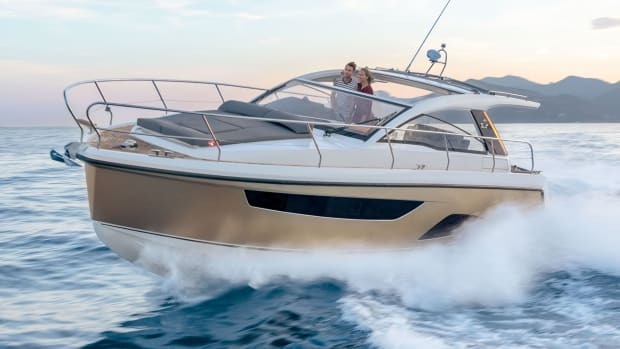 It’s also stingy on fuel: At an optimum cruise of 3250 rpm, the boat ran at 24 knots and burned a minuscule 5.9 gph, good for a 294-mile range. 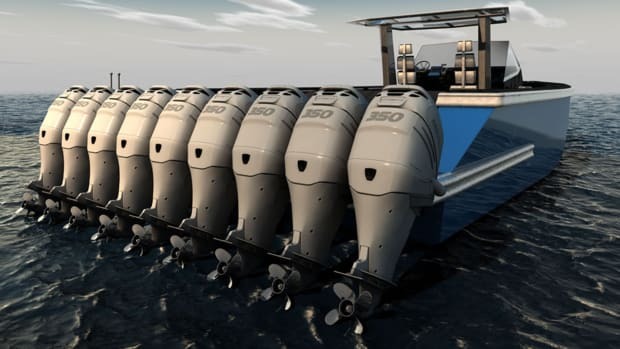 OXE has big plans for its outboards. The 150- and 200-hp models are here and there are plans to fill out its offerings with models from 125- to 300-hp. 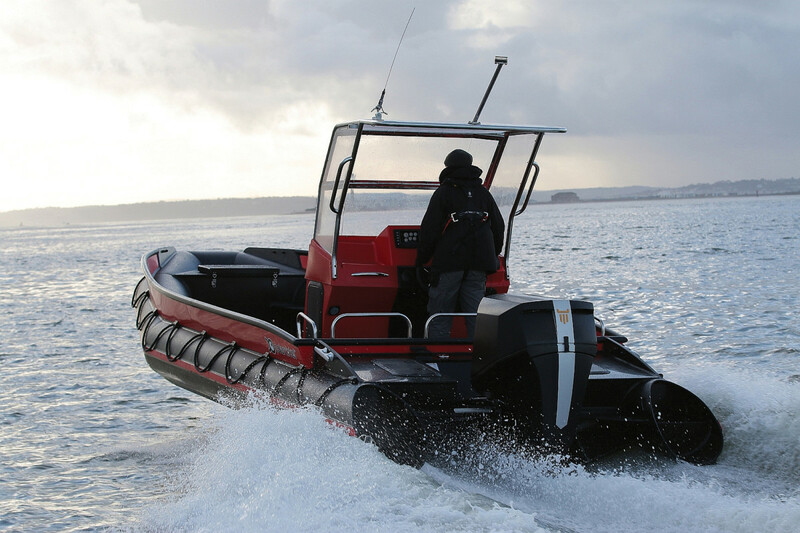 Like OXE, England’s Cox Powertrain began the development of its diesel outboard with the NATO Single-Fuel Directive in mind: The idea is to have one source of fuel for all types of water- and land-based craft. While the concept is aimed primarily at the military sector, it’s a potential gain for superyacht tenders and other accompanying vessels to match the fuel of the mother ship. 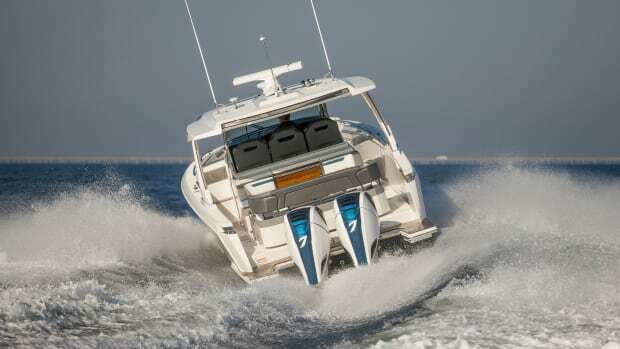 Cox premiered its pre-production (full EPA certification is imminent, and production is slated for mid-2019) twin-turbo, 300-hp model at last year’s Ft. Lauderdale International Boat Show with a twin setup on a 34-foot Intrepid. Like OXE, the claims are impressive: 25 percent better range and 100 percent higher torque versus its 300-hp gas counterpart. There are a few caveats: weight and price. 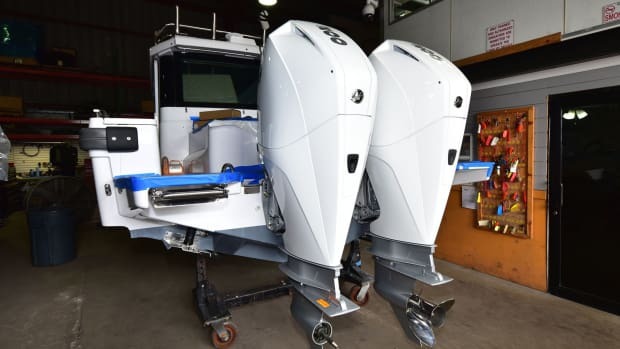 The OXE outboard tips the scales at 770 pounds and will sell for about $46,000; that’s an average of 300 pounds heavier and about three times the cost of a gas outboard. 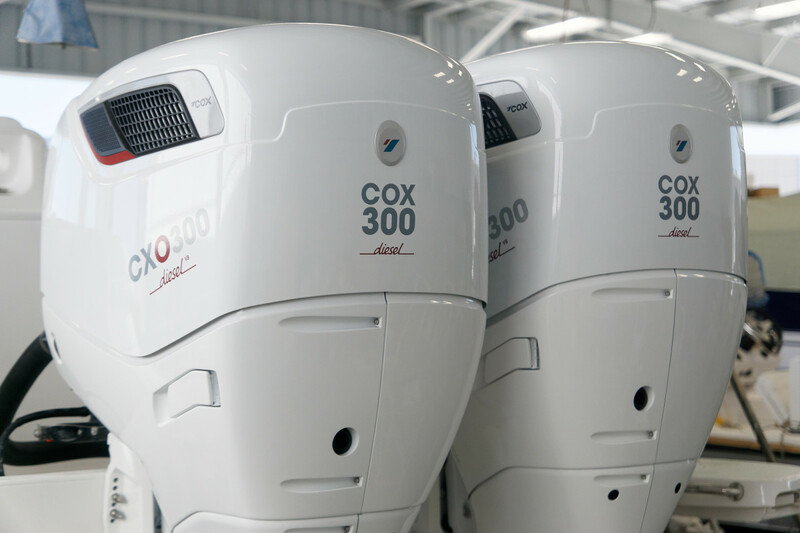 The average weight for a 300-hp gas outboard is 551 pounds and Cox’s V8 is 826 pounds; at $50,000, it’s roughly double the price. A diesel outboard could potentially recoup these costs over the engine’s lifespan: Both claim their engines have a longer run life than their gas competitors based on the superior durability of diesels. And service intervals are further apart. One thing is certain—you’ll burn less fuel. Time will tell if a diesel outboard can take market share from the traditional outboard sector. I suspect the engines can have a big impact with outfits like the Coast Guard, in commercial applications or for recreational boaters who run the heck out of their boats. Weekend warriors will never make up the cost. We plan on running the diesel outboards head-to-head with their gasoline counterparts to get some real comparisons on fuel burn, cruise, top speed and other stats. Look for the results in an upcoming issue or in our sister publication Outboard magazine (outboardmag.com).